Following the Complex premiere of “9/11,” featuring YG, and the AllHipHop debut of “Change,” which features Nipsey Hussle, Bay Area rap vets Blanco, The Jacka, and Messy Marv released their collaborative One Hunnid EP, which was produced in-full by production duo Tha Bizness. Released on iTunes, and charting in the iTunes Top 100 Hip-Hop/R&B albums, the EP has since been made available for free download. “The Grassy Knoll,” featuring Freeway, is the latest single release from the One Hunnid EP. Jazzy piano licks and old record scratches create a timbre that’s only further enhanced and colored by the smooth verses and catchy hooks. “The Grassy Knoll” actually ends up setting a melancholy tone criticizing society and taking an analytical approach to politics. 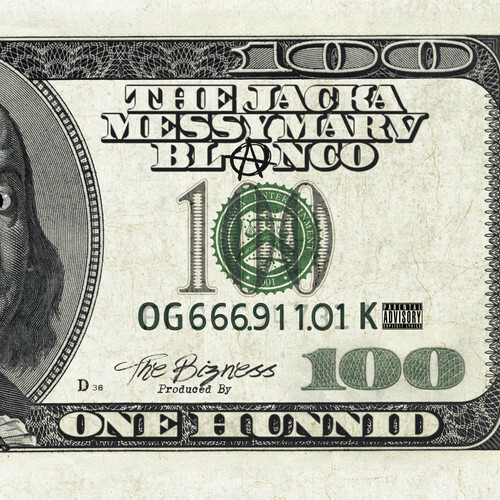 One Hunnid follows a series of free re-releases of past albums, such as OBEY and Misfits which are collaborative projects with The Jacka,Jonestown with The Jacka and Messy Marv, and Raw with Nipsey Hussle.